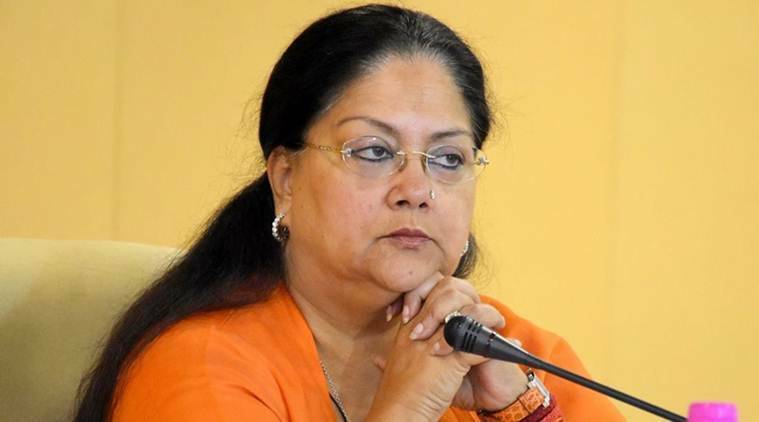 Vasundhara Raje approved a demand which was pending from a long time. Govt. is to rename the villages which have a Muslim sounding names. The renaming of four towns in publicly touchy Chittorgarh — Mohammadpur as Medikh Kheda, Nawabpur as Nai Sarthal, Rampura-Ajampur as Sitaramji Kheda and Mandfiya as Sanwaliyaji — has been approved. Sources in the revenue department said more names will be changed in the coming weeks. The renaming of villages four months before the state elections in November-December is viewed as a move by BJP to please its vote bank. Three different towns have just been renamed — Miyon-Ka-Bara is currently Mahesh Nagar (Barmer), Narpada is Narpura (Jalore) and Islampur Khurd is Pichanwa Khurd (Jhunjhunu). Sources said a proposition to rename Salemabad, in Ajmer, as Shri Nimbark Tirth is in the final stages. The move got sharp responses from political parties and civil rights groups which have consistently called it an offer to enrapture society. Naming the activity an endeavour to hide the disappointments of the government, previous CM Ashok Gehlot said the move just before elections was pointless.